These Terms and Conditions of Use Agreement (the “Agreement”) is between you and DELHI GYMKHANA CLUB LTD as “DELHI GYMKHANA CLUB” and sets forth the terms and conditions under which DELHI GYMKHANA CLUB provides access to content and services at and through www.delhigymkhana.org.in (the “Site”). – to maintain and update this information to keep it true, accurate, current and complete. If any information provided by you is untrue, inaccurate, not current or incomplete, DELHI GYMKHANA CLUB reserves the right to terminate your account and refuse any and all current or future use of the Site and affiliated services. You are solely responsible for choosing and keeping secure your password to access your account on the Site. DELHI GYMKHANA CLUB bears no responsibility for your account being compromised and used without your authorization. Should you become aware of unauthorized activity on your account, you agree to notify DELHI GYMKHANA CLUB immediately. You further agree not to share user names or passwords, which is expressly prohibited, unless authorized in writing by DELHI GYMKHANA CLUB. You further agree not to reverse engineer, hack, spam, block, disrupt, or otherwise change or alter, or attempt to change or alter, the Site. – Use or attempt to use another´s account, service or system without authorization from DELHI GYMKHANA CLUB, or create a false identity on the Site. DELHI GYMKHANA CLUB may terminate your ability to access the Site or use the services provided by DELHI GYMKHANA CLUB at any time and for any reason in its sole discretion. DELHI GYMKHANA CLUB reserves the right at any time from time to time and without notice to modify or discontinue, temporarily or permanently, the Site or the services it provides. You agree that DELHI GYMKHANA CLUB shall not be liable to you or to any third party for any modification, suspension, or discontinuation of the Site or the services. If DELHI GYMKHANA CLUB identifies that you are using the Site for commercial use, DELHI GYMKHANA CLUB may seek to be reimbursed for any and all costs and expenses related to your usage of the Site, including reasonable attorneys fees arising from your breach of this Agreement. This Site is owned and operated by DELHI GYMKHANA CLUB India Holidays doing business as DELHI GYMKHANA CLUB. 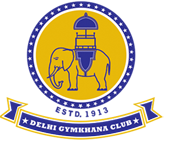 All content, information and materials appearing on this Site, including, without limitation, text, site design, logos, graphics, icons, images, and voice, video, and sound clips, as well as, the selection, assembly and arrangement thereof (“Content”) are the sole property of DELHI GYMKHANA CLUB or its licensors and are protected by International copyright, patent and trademark laws and treaties. DELHI GYMKHANA CLUB and its licensors expressly reserve all rights in and to such Content. You may use the Content contained on this Site and the services offered through this Site only for your own personal purposes. No Content from this Site may be copied, reproduced, modified, republished, uploaded, posted, transmitted, or distributed in any form or by any means without DELHI GYMKHANA CLUB´s or its licensor´s prior written permission except as explicitly permitted in this Agreement. All content, information, and materials you upload to the Site or provide to DELHI GYMKHANA CLUB using the services offered by DELHI GYMKHANA CLUB, including, without limitation, text, graphics, icons, images, and voice, video, and sound clips shall become the property of DELHI GYMKHANA CLUB immediately upon their upload or transmission and you hereby assign and agree to assign all rights in such materials to DELHI GYMKHANA CLUB. DELHI GYMKHANA CLUB may store, delete, retain, or dispose of such materials in its sole discretion and shall be under no obligation to retain such materials for any particular period of time. All software used on the Site, to provide services through the Site, and to operate the Site is the sole property of DELHI GYMKHANA CLUB or its licensors and may not be used elsewhere without prior written permission. Certain patents, trademarks, copyrights and other content or proprietary information used on this Site may be owned by third parties not affiliated with DELHI GYMKHANA CLUB and are being used under license and with permission by DELHI GYMKHANA CLUB under various agreements. DELHI GYMKHANA CLUB welcomes your comments and feedback about the site or about its services; however, DELHI GYMKHANA CLUB, in its sole discretion, reserves the right to use or not use any ideas, content, materials, or suggestions you submit without any express or implied obligation, contract or compensation to you. all ideas, materials, or suggestions (including, without limitation, unsolicited ideas, suggestions, or materials) submitted shall become the property of DELHI GYMKHANA CLUB and DELHI GYMKHANA CLUB may use such ideas, materials, or suggestions in whole or in part at DELHI GYMKHANA CLUB´s sole discretion without compensation or credit to you. You agree to defend, indemnify and hold harmless DELHI GYMKHANA CLUB and its subsidiaries, affiliates, related companies, employees, officers, directors, agents, telecommunications providers, and content providers from all claims, demands, liabilities, costs, and expenses, including reasonable attorneys´ fees, arising from your breach of this Agreement, your violation of the rights of any third parties using the services provided by DELHI GYMKHANA CLUB or the Site, or your violation of any federal, state, local or other applicable laws, rules, or regulations using the service provided by DELHI GYMKHANA CLUB or the Site. The failure of DELHI GYMKHANA CLUB to exercise or enforce any right or provision of this Agreement shall not constitute a waiver of such right or provision. If any provision of this Agreement is found by a court of competent jurisdiction to be invalid, the parties agree that the court should endeavor to give effect to the parties. Intentions as reflected in the provision and the other provisions of this Agreement shall remain in full force and effect. © All Rights Reserved 2019, Delhi Gymkhana Club Ltd.
© Developed & Maintained By- B2C Systems Ltd.